The village has Amnatos unique position on a hill with panoramic views of Rethymnon and a rich vegetation fascinated people since ancient times. This finding indicates inscription indicating the name of the place "AMN) atos, and the assumption of some researchers that at precisely this area should be the ancient city was named Tripod. Undoubtedly maximum climaxed the village during the Venetian period, when he referred to as Amnato. This testifies to the fortress town tissue type and the unique Venetian buildings with top of the mansion Sanguinazzo. In the triangular doorway of this great house was the family coat of arms, the eagle and the inscription: Initium sapientiae timor Domini (= beginning of wisdom fear of the Lord). Later, during the Turkish village inhabited by the Ottomans should have built a mosque with a minaret, as evidenced by the descriptions of the traveler Pashley. From the same era have been discovered ruins of Turkish tower outside the village. In recent years hosted the famous "School Arcadia, which attended the Monks of the Monastery. The Amnatos closely associated with the holocaust of Arkadi and a lot more than the inhabitants of the monastery was a tragic one hour. Among them, the heroine Hariklia Daskalakis or Daskalocharikleia with three sons. To honor her and all the fallen Amnatsanon, proud of their descendants, erected a monument in the center of the village. The village's name is likely to have roots in Minoan and near Amnatos Minoan settlement. In an interesting architectural features preserved and several Venetian buildings. Of particular interest is the doorway of the restored Venetian mansion that dates from before the 16th AD century, the Sanguinazzo, in the village square. The drum is preserved in an epigram: INITIUM SAPIENTIE TIMOR DOMINI (START OF WISDOM FEAR THE LORD). 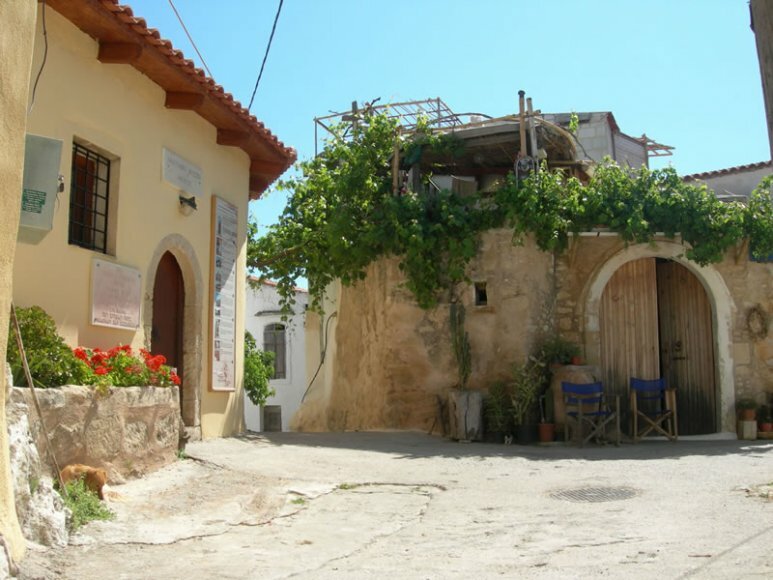 In Amnatos you can visit folklore museum under the supervision of local cultural society and the Municipal "Museum of History of Greek Education. " The inhabitants (about 150 to 200) are mainly farmers, growers and ranchers. A genuine cretan hospitality alive, making their place in the world dear. love their land, respect their history and try to maintain the characteristics of the village. Dare to enter the narrow streets with their unique architecture and will certainly gain pictures that will be unforgettable. 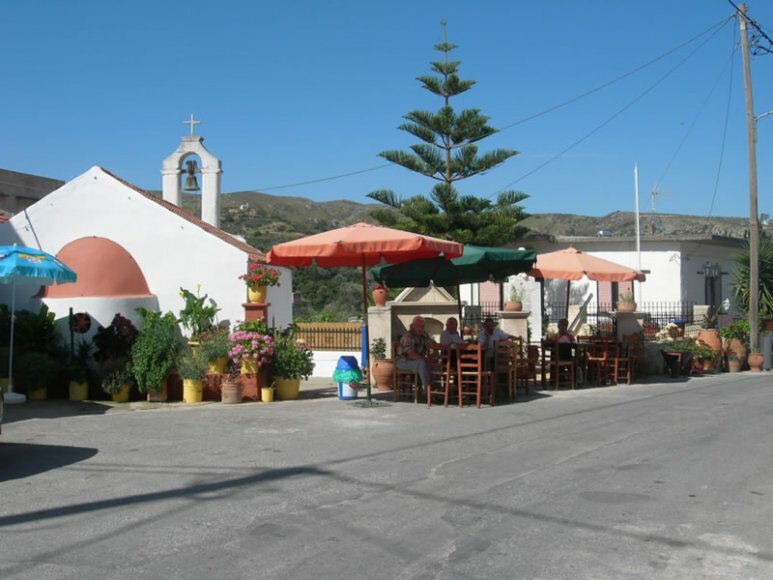 In the central square, a traditional coffee shop which has in addition to good company, raki and genuine local delicacies. 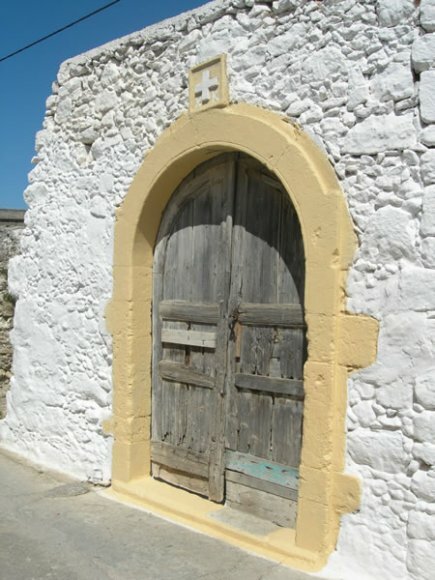 Just beyond lies the church of Agia Marina is honored by the village. 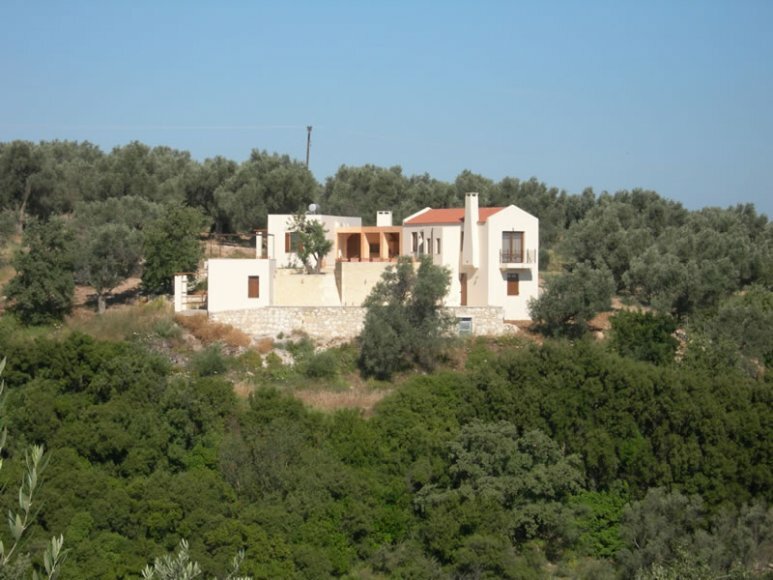 The entire route to the village is a tour of the flora and fauna of Crete, as it passes through a lush landscape with ravines filled oaks, oaks, cypresses, olive trees, carob trees and vegetable gardens. For fans of the species are entire forested slopes of fragrant shrubs, myrtle, laurel, thyme, oregano and sage to the sovereign. 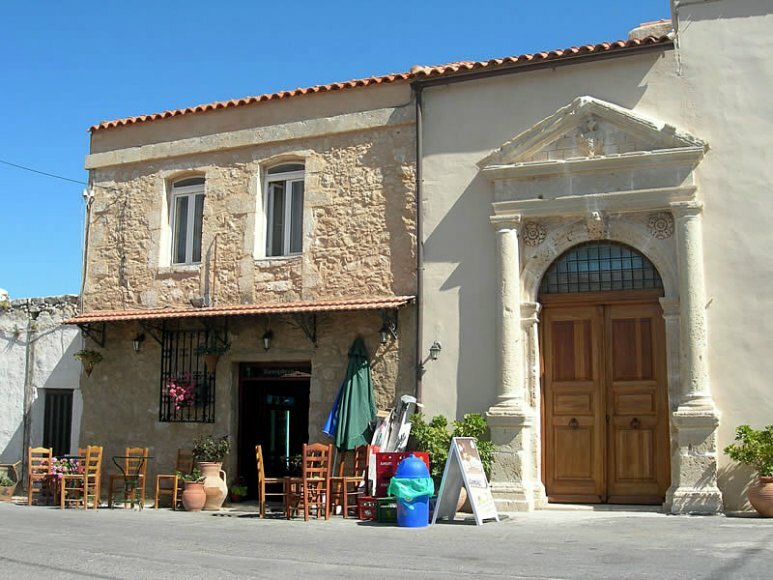 As in any point of Rethymno, in Amnatos, visitors can savor the beauty of the Greek province of reaping good pictures is not to forget to honor to the extent they deserve. Because this destination is very close to the city and yet with time it loses its people.